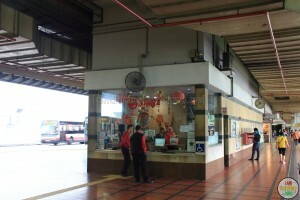 Woodlands Regional Bus Interchange is located at Woodlands Town Centre. 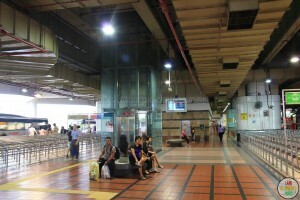 Completed and opened along with the Woodlands extension of the North South Line in 1996, it is the first underground bus interchange in Singapore, as well as one of the largest. Amenities around the Interchange include the Causeway Point Shopping Mall, Woodlands Civic Centre and the Woodlands Regional Library. Operations at Woodlands Regional Bus Interchange has ceased and transferred to Woodlands Temporary Bus Interchange with effect from 12 March 2016. Addition and alteration works as part of the construction of the new Woodlands Station along the Thomson-East Coast Line (TEL) is ongoing at the bus interchange. The future underground station will incorporate additional links to the Interchange. 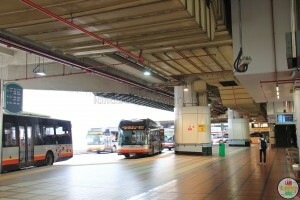 Woodlands Regional Bus Interchange is a bus station located in the residential town of Woodlands. 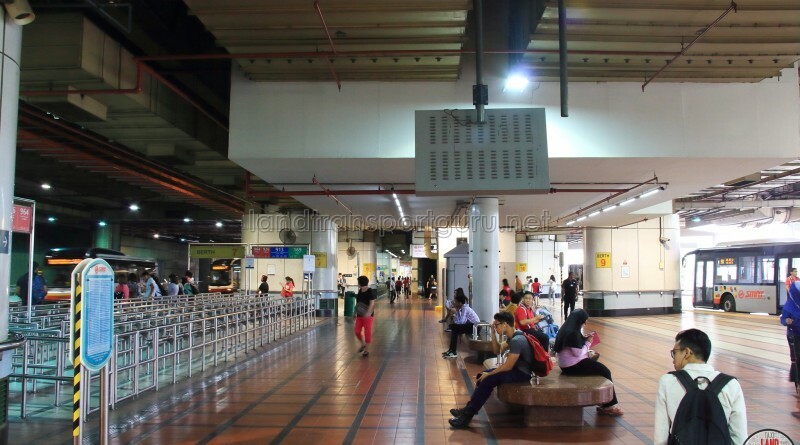 Connecting with Woodlands MRT Station along the North-South MRT Line, the interchange is a transport node for commuters heading in and out of town, allowing for convenient transfers between the rail network and the many bus services at the interchange. The interchange has two exit ramps; the West exit leads to Woodlands Avenue 3 and 5, while the East exit leads to Woodlands Avenue 2 and 7. 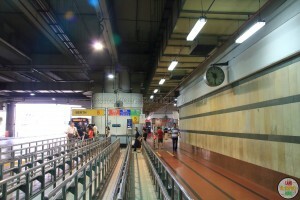 Although the interchange berths are enclosed underneath the MRT station, the parking area near the west exit is open-air. The berth allocation is such that Berths 1 to 8 will depart towards the East exit, and berths 9 to 16 depart towards the West exit, which means that buses do not have to turn back after picking up passengers. The only exceptions are Service 161 and 168 which depart at the east exit, but are located in Berths 15 and 16 due to space constraints. The space-saving design was intended to leave more space around Woodlands Regional Centre for future development, but much of the area around it still remains undeveloped, with only Causeway Point and Woodlands Civic Centre. Plans to develop the surrounding area were announced together with the upcoming Thomson-East Coast Line. 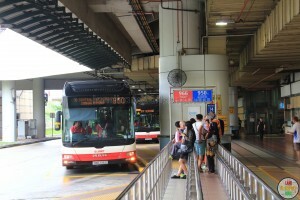 Before the interchange came into operation, bus services in Woodlands were served by Woodlands Bus Interchange located at Woodlands Centre Road. 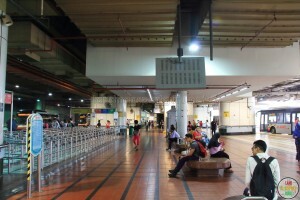 In existence since the 1970s, the interchange served the former Woodlands Town Centre, which was located very near to the Causeway. 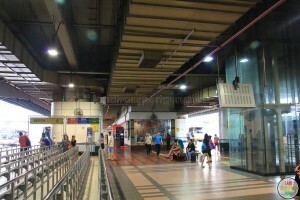 Another bus terminal, Marsiling Bus Terminal, was situated not too far away at Marsiling Town, beside Block 201 along Admiralty Road. 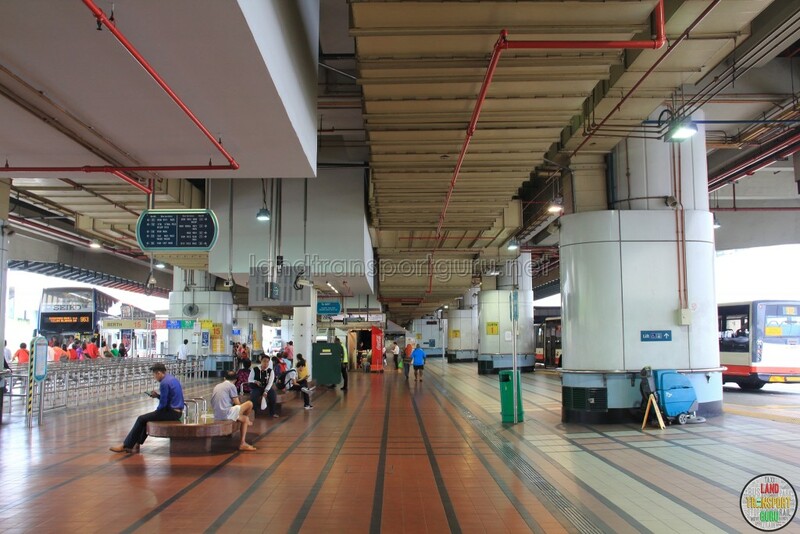 Introduced in the 1980s, this bus terminal was home to TIBS services 950, 951 and 952, which went to Shenton Way, Jurong and Marina Centre respectively. When the Government announced to extend the North-South Line MRT between Yishun and Choa Chu Kang via Woodlands, there were accelerated plans to relocate and develop a new town centre for Woodlands New Town, to be located at Woodlands Square. 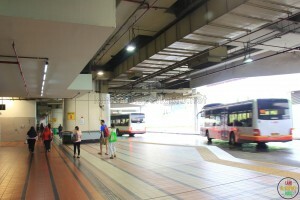 Built at a cost of $34 million, the Woodlands Regional Bus Interchange was built underneath the elevated Woodlands MRT Station, with station facilities occupying the ground floor. This space-maximizing design was the first of its kind in Singapore and could accommodate both articulated and double-deck buses. 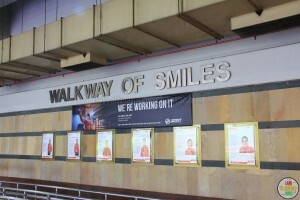 It opened on 10 February 1996 with Prime Minister Mr Goh Chok Tong gracing the occasion, the very same day Woodlands MRT Station opened for service. 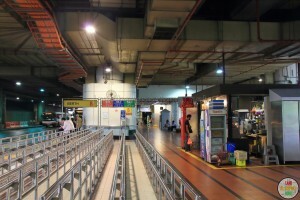 In 1996, both bus terminals were rendered obsolete. Services were either diverted to Woodlands Regional Bus Interchange or withdrawn. 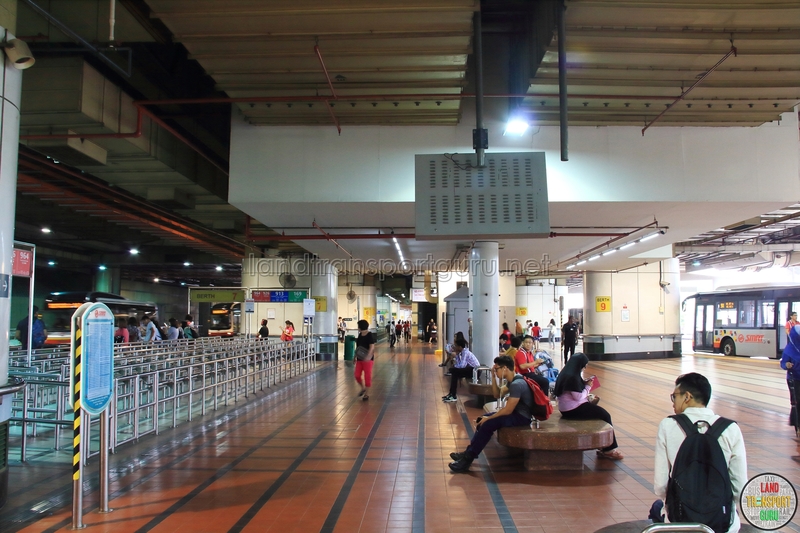 With the construction of the Thomson-East Coast Line (TEL) entrance and exit for Woodlands MRT Station underneath Woodlands Regional Interchange, addition & alteration works were required to be carried out to the existing bus interchange. As such, a temporary bus interchange was constructed nearby to facilitate these works. Construction of Woodlands Regional Temporary Bus Interchange (Contract T211 – Proposed Temporary Woodlands Regional Bus Interchange) was awarded to JS Metal Pte. Ltd. on 17 Mar 2014, at a sum of S$12,650,000.00. The temporary bus interchange opened on 12 March 2016, with existing bus services amended to serve it. On 26 Dec 2017, Contract PT247 – Upgrading of Woodlands Regional Bus Interchange was awarded to CCECC Singapore Pte Ltd at a sum of S$21,567,800.00. Part of the works include converting the bus interchange into an air-conditioned facility. Works are expected to be completed towards the end of 2019. Service 900 (old): Looped at Woodlands Centre Road via Woodlands Street 13. Merged with 901 to form Intratown 911 and withdrawn in late 1996. Service 900 (new): Re-introduced in 1999 and looped at Woodlands Drive 14. Service 900A: Variant of service 900 that served Champions Way and Woodlands Drive 17. Operates during selected times on weekdays. Service 901 (old): Looped at Woodlands Street 81 via Woodlands Avenue 4. Merged with 900 to form Intratown 911 and withdrawn in late 1996. 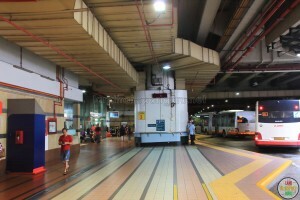 Service 901 (new): Re-introduced in 1999 and looped at Woodlands Drive 16. Service 902 (old): Looped at Woodlands Street 41. Merged with 905 to form Intratown 912 and withdrawn in late 1996. Service 902 (new): Re-introduced in 2006 as a one-directional AM peak service to Woodlands Avenue 9 (Republic Poly). Service 904 (old): Looped at Woodlands Centre Road, via Marsiling Road and Marsiling Rise. Merged with 906 to form Intratown 913 and withdrawn in late 1996. Service 904: Re-introduced in 2013 under the BSEP scheme, loops at Woodlands Crescent. Service 905: Looped at Woodlands Drive 50. Merged with 902 to form Intratown 912 and withdrawn in late 1996. Service 906: Looped at Woodlands Circle via Admiralty MRT. Merged with 904 to form Intratown 913 and withdrawn in late 1996. Service 912: Intratown service formed by the merger of Feeder 902 and 905 in late 1996. 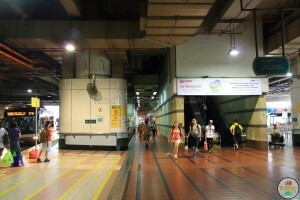 In 1997, extended to loop at Admiralty MRT station via Woodlands Ring Rd. Now loops at Woodlands Avenue 7 and Woodlands Centre Road. Service 913: Intratown service formed by the merger of Feeder 904 and 906 in late 1996. Loops at Woodlands Circle and Woodlands Centre Road. Intratown services perform two different loops and use the interchange as an intermediate stop before proceeding onto the second loop. Services 903P and 912P have since been withdrawn and replaced with Services 903M and 912M. Berths 1 to 8 are located to the South, with traffic flow in the direction of Woodlands Avenue 2 and 7. Berths 9 to 16 are located to the North, with traffic flow in the direction of Woodlands Avenue 3 and 5. 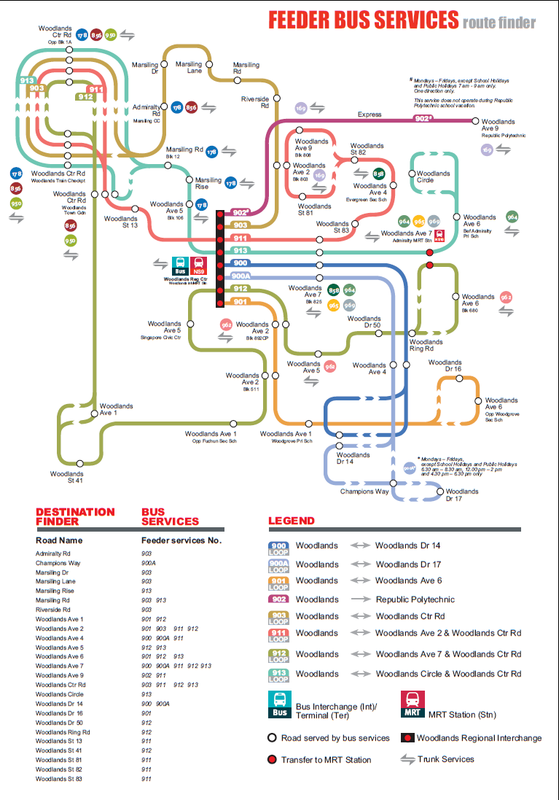 Woodlands Feeder map, extracted from SMRT Bus and Train Services Guide.